Jackie has been a non-executive director of Eastside Primetimers’ trading company since August 2016. 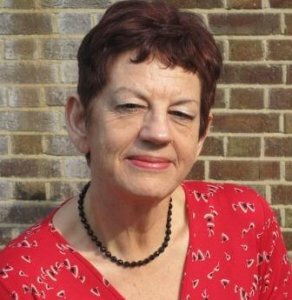 Jackie has had a long and distinguished career running a number of notable charities including Alcohol Concern, until July 2016, Action on Hearing Loss (formerly RNID), RSPCA and Womankind Worldwide. Her governance experience includes the Board of Newlon Housing Trust; Outward, a charity that is part of the Newlon Group; Lambeth CCG, where she is an Associate Lay Member; and the Independent Parliamentary Standards Authority (to 2013). Jackie’s career started in social work and education. She was elected as the MP for Taunton from 1997 to 2001. Jackie brings to our Board a breadth of experience that covers large areas of social policy, major health and social care charities, housing associations and commissioning.